Pharmacy owners have long heard of the raids, prosecutions, and indictments that occurred in the context of Tricare compound pharmacy investigations. Indeed, the years of 2016 and 2017 have seen a major enforcement action against those physicians, marketers, and pharmacies that have participated in Tricare compounds in the years 2014 and 2015. While the residues of these prosecutions continue, the Justice Department and the Department of Health and Human Services have initiated another, second and arguably larger wave of prosecutions against compound pharmacies across the country, this time for commercial insurance payors. The Office of Inspector General and the FBI have significantly expanded its investigations of compound pharmacies across Florida, Texas, and other parts of the United States. If you are a medical doctor and regularly refer compound scripts or if you are the owners of compound pharmacies that fill commercial insurance compound requests, you should read this article, co-written by former Justice Department health care fraud prosecutors. Oberheiden P.C. offers clients local counsel in all regions of the U.S. including Florida, Ohio, Texas, Oregon, California, Nevada, Michigan, and Washington D.C.. We have successfully served health care business owners and physicians in federal cases across the nation. Give us a call today to discuss your situation in a free and confidential consultation. Your choice of counsel can greatly impact the outcome of your case and the future of your business. Why are physicians referring to your pharmacy? Why is Dr. X (who is a non-specialist) referring to your pharmacy? Why are physicians from out-of-state sending you business? Does your pharmacy fill opioids? Importantly, contrary to common perception, the U.S. Attorney’s Office and the Justice Department do have jurisdiction to investigate non-federal health care program fraud. The government does so based on some recent legislative amendments as well as under the theory of mail fraud, wire fraud, and, most recently the so-called Travel Act. Regardless as to whether your business is under scrutiny or could be subject to an audit, we recommend a comprehensive compliance assessment to all prescribers and compound pharmacy owners. Why? The government will not take an x-ray of your brain to determine whether you had “good” or “bad” intent. Quite frankly, agents who are being paid to put people behind bars for violations of federal law will simply assume that you did not have the right spirit and good intent—unless you have information to share that would make such an assumption outright wrong and patently abusive. Oberheiden P.C. has developed a Pharmacy and Prescriber Defense Concept that has proven effective in countless investigations of health care businesses be it toxicology laboratories, pharmacies, or medical clinics. The core idea of the program is to be proactive. The health care industry is heavily regulated and even easy mistakes can lead to draconian consequences. If you then add aggressive enforcement and new heights of health care prosecutions, you, as a business owner and member of that industry, must conclude that simply doing nothing and having no or insufficient precautions in place strikingly resembles playing Russian roulette. Don’t do that to your business, don’t do this to your family. What prompted you to accept compound scripts? What percentage of your business are compounds? What is the payor mix between Tricare, Medicare, Medicaid, DOL? What commercial insurance networks are you in? Are your marketers W2 or independent contractors? What is the compensation structure for marketers: flat fee or percentage? Do you pay any percentage to LLCs or 1099 marketers? Do you market within one territory or out of state? How do physicians find your pharmacy? Why do physicians refer to your pharmacy? What makes your pharmacy different and unique? Who is the designated compliance officer? Who does the medical necessity control? When was the last time all staff members went through a compliance training? Who does the criminal and malpractice background check on your referral sources? Who does the background check on your own staff? How did you first hear about the pharmacy? Who and how were you contacted by the pharmacy? How many compounds did you prescribe in 2012? How many compounds did you prescribe in 2015? How many compounds did you prescribe in 2018? How do you justify medical necessity? How do you address compound prescriptions in your notes? What academic studies do you reference in your treatment protocols? Do you have any direct or indirect financial interest in your referrals to a pharmacy? To how many pharmacies do you send compounds? Is the pharmacy you refer to in your vicinity, your city, your state, or out of state? How do you coordinate your referrals with the pharmacy? Do you have scripts on auto-refill? Have you been under audit recently? Have you been contacted by the state medical or pharmacy board in the last 5 years? Do you have any patient complaints pending regarding your prescriptions? How do you educate patients about compound scripts? Do your notes reflect the educational conversation you had with your patients? In countless defense engagements for our health care clients, Oberheiden P.C. attorneys have convinced FBI agents, OIG agents, DEA agents, and assigned federal prosecutors not to continue its investigations against our clients, not to charge them, and not to jeopardize, suspend, or revoke their DEA privileges or medical board accreditations. DEA Patient Chart Audit: The government alleged that our client filled medically unnecessary compounds in the context of DOL and Tricare patients. With a team of experts, Oberheiden P.C. demonstrated that the pharmacy strictly adhered to applicable rules. No DEA suspension or formal investigation followed from there. OIG/CMS Investigation: A pharmacy contacted Oberheiden P.C. due to concerns of an investigation regarding the pharmacy’s compound practice. Oberheiden P.C. initiated a dialogue with the assigned licensing board member and addressed every single identified issue. The client continues its business and no formal investigation was ever opened. OIG Subpoena: The pharmacy client received notice from the Department of Health and Human Services and the Office of Inspector General about the government’s concern of overbilling and billing for scripts outside the scope of the respective practice of the referring physician. Following an internal investigation, Oberheiden P.C. attorneys were able to assure the government that while the operational compliance could be improved, the client did not engage in systematic or deliberate fraud. This concluded the matter. Not hesitating when action is required is more than 50% of an ingredient to a successful defense case. The earlier you trust experienced counsel to protect your business and your reputation, the more difficult it is for the government to accuse you of a wrongdoing. Act now, call today. Oberheiden P.C. is available to assist, including on weekends. 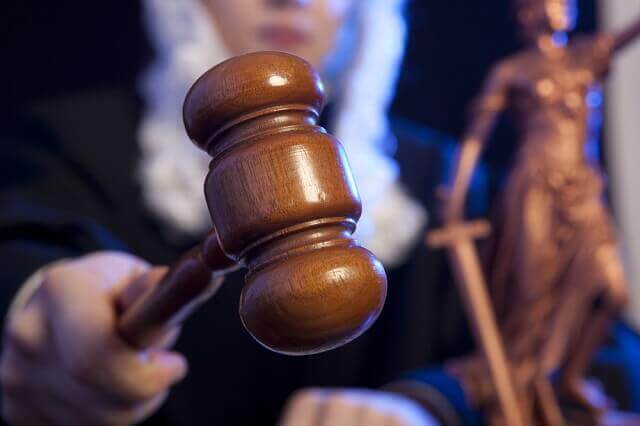 The outcome of your case is greatly in your hands. We are ready to speak to you.